Located on 408 Paul Mall Street in London, Ontario, Locomotive Espresso is not just great coffee but the cafe vibe as well, which means a cozy decor and friendly, knowledgeable staff. Carrying almost exclusively locally sourced foods, snacks and beverages for customers both on the go and those wishing to stay awhile. Locomotive is also one of the first to carry upstart products such as Booch Organic Kombucha, Pulp & Press Juices and Bliss Bars. The cafe also carries a variety of specialty coffee makers such as the Aeropress, V60 drip and Chemex, gift certificates, teas and the barista approved KeepCup. Sit back and relax with the free wi-fi, board games to play with friends and the environment to get some work done. With two locations in the city of London; 134 Wortley Road and 724 Richmond Street, you are sure to find a location that is nearby. Their from-scratch baked goods & pastries, in-house made savoury meals and incredible in-store roasted coffee is what makes Black Walnut Bakery Cafe stand out from the crowd. They certainly go the extra mile in not compromising on quality of their products and they hire top talent from internationally trained coffee roasters. If fair trade, organic, green coffee beans is important to you, then this is a must visit. Enjoy their cozy and quiet environment as you hangout with friends or relax with a good book. Their staff are sure to welcome you for as long as you would like. No excuses to not find a Fire Roasted Coffee near you! They have dominated London with locations all over the city, though there is no question why, they are definitely one of our favourite local cafes. Not to mention they have also been recognized as one of Ontario's finest Specialty Roasters. Fire Roasted Coffee roasts over 50 types of coffee and 95% of their coffees are Fair trade certified, with a number being Organic Certified and shade grown. Their cafes carry a number of baked goods, sandwiches and some even carry beer and wine. 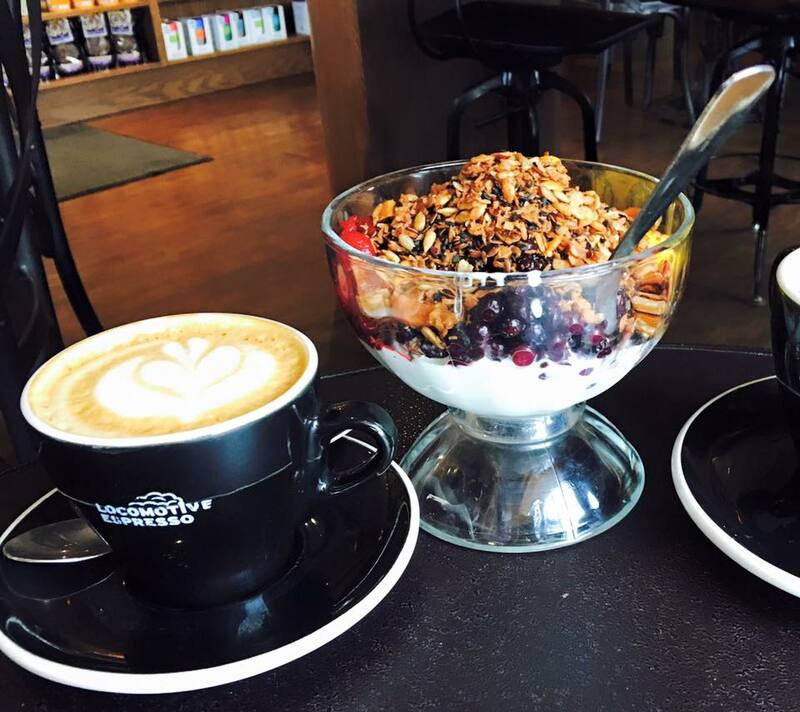 They certainly put a twist on the typical coffee house and that is why they are on our list! Their locations include: 105 King Street, 136 Wortley Road, 900 King Street (During Farmers Market) and finally 630 Dundas Street. There are way too many reasons to love 10Eighteen Coffee Bar, their support for local is unbeatable. Opening their doors in 2016, they have sure made an impact on the London market for coffee. 10Eighteen Coffee Bar sells products from Boho Bakeshop, O-JOE Coffee and Booch Organic Kombucha, oh and to top it off they carry Anderson Craft Ales making this a true one stop shop for local food and drinks. While carrying a number of local products they also provide a number of in house baked goods and snacks. Their atmosphere is unique to London as well, rustic, cozy and quaint with a great community of supporters. Check out the cafe on 1018 Dundas Street East, London, Ontario. Okay things just got a little more difficult. London Ritual is relatively new to the Cafe gig although just like 10Eighteen, they are making an impact! Serving everything from your usual baked goods to smoothies, incredible parfaits and sandwiches. If you haven't seen their food photos on social media, you need to check them out. They are unlike the other cafes in the city because of their decor and style which is what sets them apart. Their environment could be considered vintage while still maintaining an open feel and home to some incredible and dedicated team of staff. If you are looking for some great food and a friendly environment, London Ritual is a must see, visit their location on 349 Talbot Street in London, Ontario.